It is a game between two giants of European basketball but they are experiencing contrasting fortunes at the moment. Madrid are on a five game winning streak in Europe while Panathinaikos have lost three games in a row. The Spanish side have already booked their place in the playoffs, which may or may not impact on the outcome of this game, so there is something extra to think about. 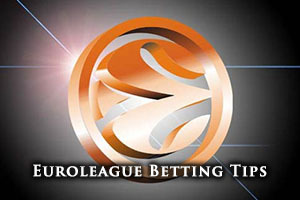 Coming into this game, Panathinaikos have been split down the middle and they hold a 10-10 record in the Euroleague. This comes from their 5-5 record in the regular season and their 5-5 record in the Top 16. They will be looking to break into the positive side of life after this game but they know that they face a tough task. 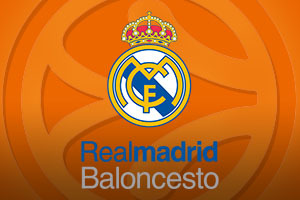 They will be facing a Real Madrid side that have shown brilliant form this season in the Euroleague but given that they have already qualified for the playoffs, it may be that their eye is off the prize. They will want to obtain home advantage and keep their form going but it could be that this is a chance for the Greek side to get a shock win. Real have a 17-3 record in Euroleague this season, holding an 8-2 regular season record while holding a 9-1 record so far in the Top 16. Madrid have been formidable at this stage of the campaign. With respect to average points scored, Madrid have a notable advantage, holding an 88.2 to 75.6 record. The Greek side will be turning to AJ Slaughter in this one and as the player with an average of 10.9 points per game for the Greek side; it is easy to see that he will be a key man in this game. Another key man for the Greek side will be Esteban Batista who has served up an average of 6.0 rebounds this campaign. Of course, you cannot talk about Panathinaikos and key players without mentioning Dimitris Diamantidis, who has provided an average of 5.9 assists per game this campaign. For Real Madrid, Felipe Reyes is likely to be a key man and he has averaged 11.8 points per game this season so far for the Spanish side. He has also managed to offer up an average of 6.2 rebounds per game, making him a massively influential player for Madrid. Sergio Llull has also been a key player for the Madrid side this season, offering up an average of 5.4 assists per season. Panathinaikos are currently in 2nd place in the Greek league with an 18-2 record, one place behind Olympiacos who hold a 19-1 record. On Monday, Panathinaikos grabbed an away win over KAO Dramas, triumphing 65-81. In Spain, Real Madrid also sit in second place in their domestic table, they hold the same 20-4 record as Unicaja Malaga but the Malaga side sits at the top of the table. In Madrid’s most recent domestic game, they defeated Sevilla 87-81. Taking Real Madrid with a -4.5 handicap, at odds of 1.90, should be a decent bet for this game. For the Over/Under market, going OVER 155.5 at odds of 1.90 is likely to be a decent bet for you to make. These bets can be found with Bet365. Bet Now!